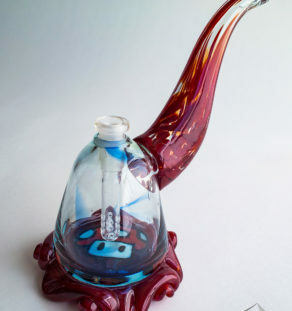 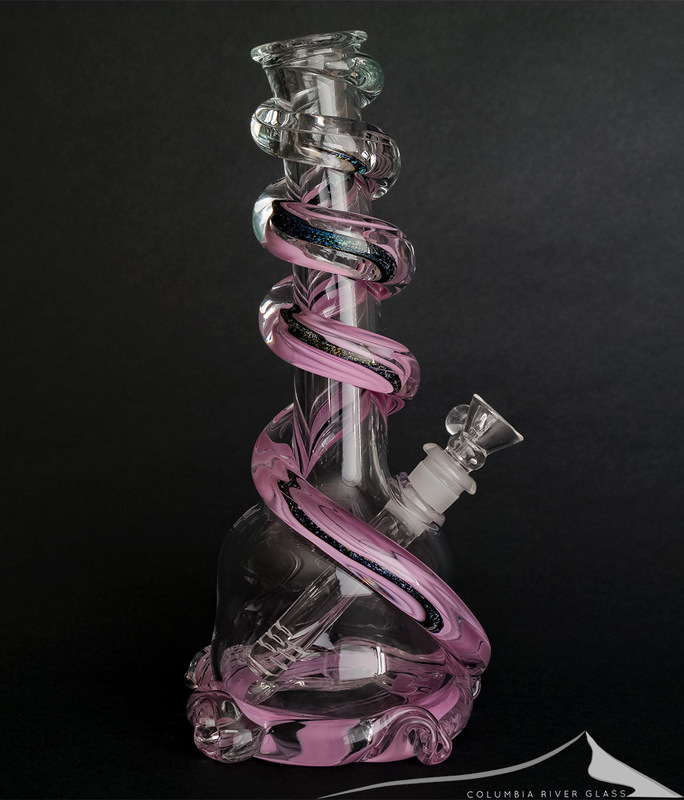 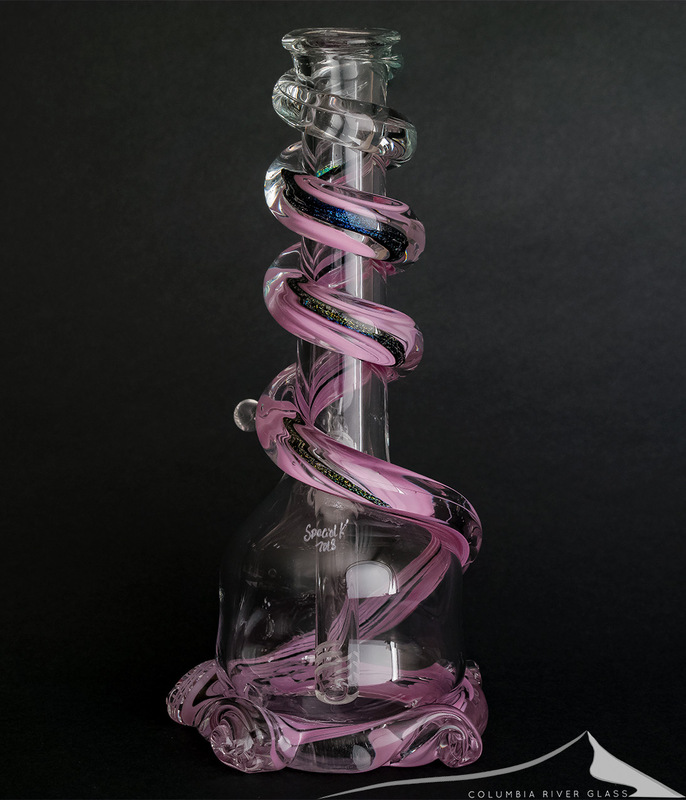 Beautiful new piece from Special K – a clear pull with a translucent violet dichro wrap that seems to capture the light. 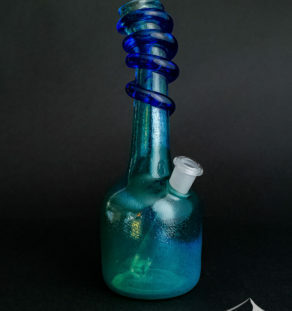 The dichro has gold, blue and green hues and the sparkle really cranks up in sunlight. 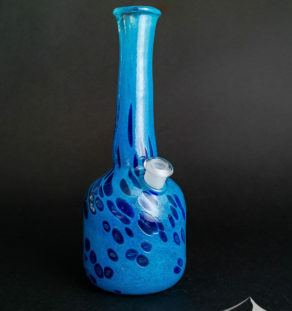 At 10 inches in height this is a smaller size that’s easy to handle, with great function out of the slotted stem. 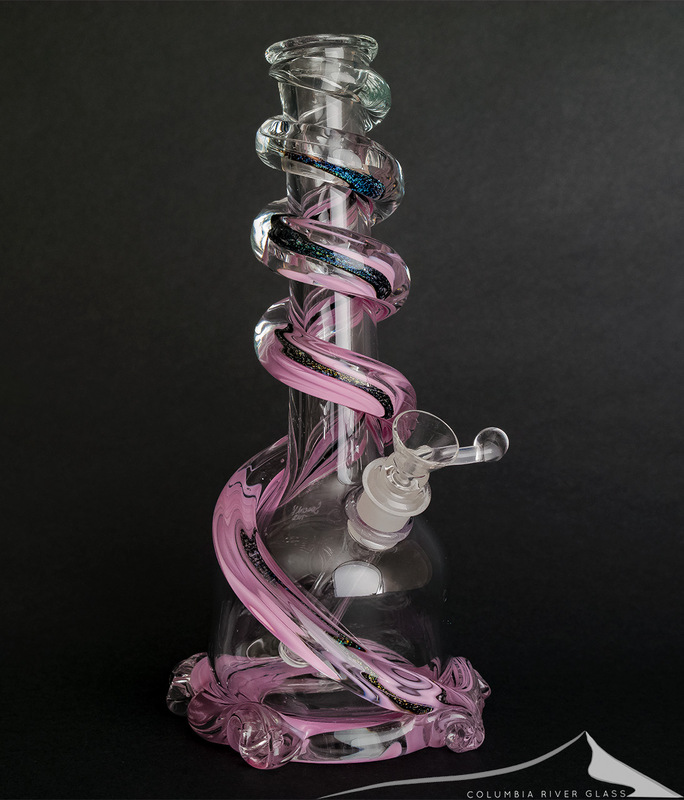 Fantastic soft glass work from Special K and crew!